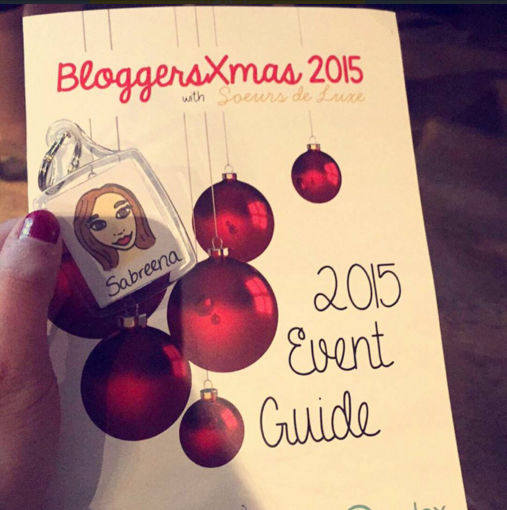 We had such a great time last month hosting the BloggersXmas event and are really glad everyone had such a great time! We've loved seeing all your posts and haul videos. The feedback has been immense! We can't wait to possibly do another next year! Apologies for the photos, my flat is the darkest place on earth and could not get good lighting - time to buy proper photography lights I think! It took hours and hours of tirelessly emailing brands and PR companies to get contributors for the goody bags. Working behind the scenes with merchandisers and printers, we managed to pull it all together in a few weeks. As you can see, it certainly all paid off, as we managed to get some amazing brands involved! The bags.. now the bags have had some amazing feedback! 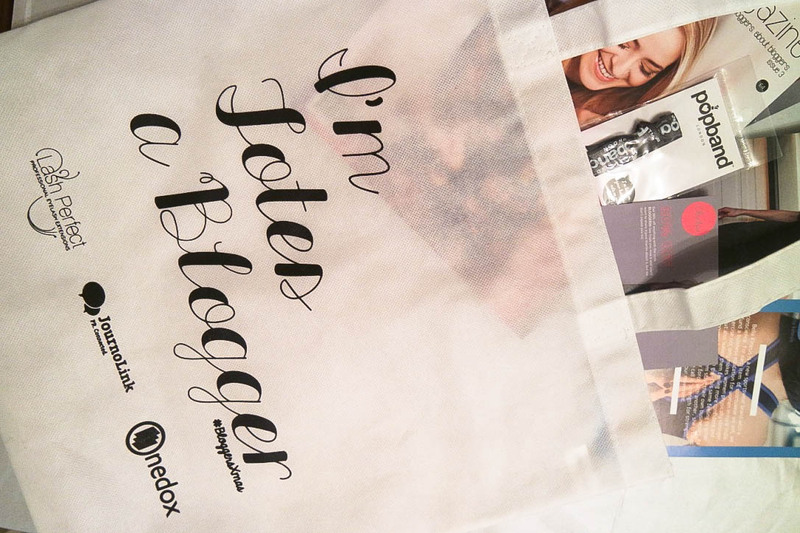 I'm quite proud to say it was me that came up with the 'I'm totes a blogger' slogan on in. 'Totes' because its a tote bag.. get it? Anyway, the sponsoring brands were really happy with it and I sent the design off to Total Merchandise who I've dealt with a number of times with things for my day job, so I knew they'd be great. These came a few days before the event, so myself, Kirsty and a few others (my sister-in-law-to-be and my bestie Prittee Perfect Beauty) helped stuff the 150+ bags. It took about 6 hours! The brochures/event guides/whatever you want to call them also worked really well. They gave bloggers an idea of what to expect, where to find each brand with a printed map of the venue, details of competitions and how to enter, all the details of all the brands that were involved and some ads for some pretty cool brands too! These were printed for a great price by Stress Free Print and arrived within a matter of days. From my days creating a magazine for my final year doing Journalism at uni, using InDesign to make them didn't take long at all. Liaising with the brands for images and text was the main challenge but we think it worked out great. So what freebies did you get? Popchips were a huge hit. With the launch of their new flavours, popchips sent both their Sea Salt and Vinegar and Barbecue flavours for you to try. Puffed up discs of crispy goodness, these are only half the fat of normal crisps and are only 79 calories per pack! 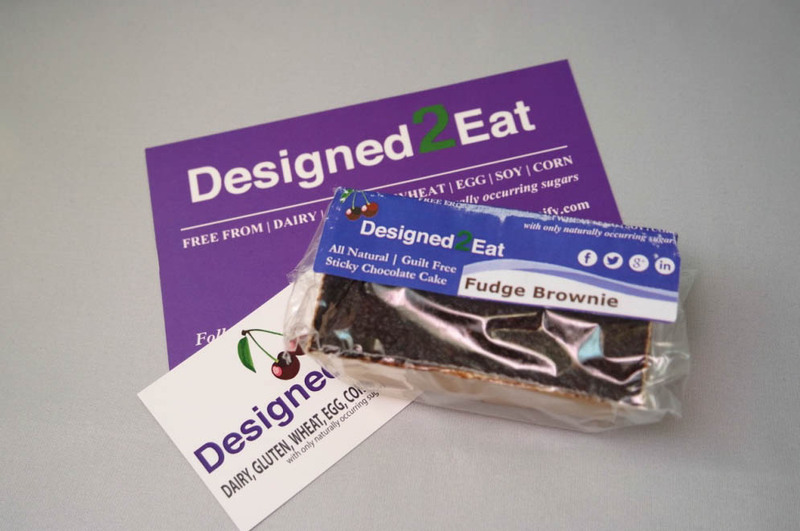 Designed2Eat kindly baked some Chocolate Fudge Brownies which incredibly are completely free from Gluten, Dairy, Wheat, Egg, Soy and Corn. They only contain naturally occurring sugars, making it a great guilt-free snack. Lotil, as mentioned in a previous post, isn't a brand we'd come across before, but we're so glad we did! 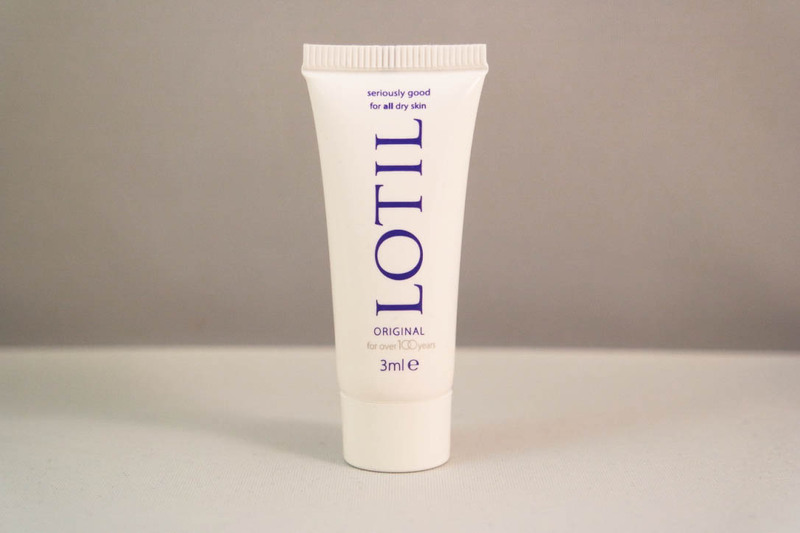 Specially formulated to treat super dry skin and eczema, Lotil will get your skin in top shape after winter has done it's damage. Much like bobby pins, hair bands seem to just disappear! No one knows where they go (except maybe the people who pick up after us) but they just vanish. Normal hairbands also leave annoying kinks in our hair, which isn't ideal. Popband have the cutest elastic hair bands. Wear it on your wrist or in your hair, these bands leave you kink-free and stylish. They have lots of different colours, styles, patterns etc. Our favourites are the glittery ones. Recently stocked in Boots, Gold Collagen is a health supplement that you can drink! It tastes quite mediciney but it's probably best consumed in one gulp! It not only gives you beautiful skin, fights signs of ageing and restores the skin's hydration.. just in one small bottle! Amazing! You have to drink one per day for 30 days to see a difference, so go grab the rest from your local chemist. With my wedding planning starting, so does my bridal beauty regime. I'm currently saving to have my teeth straightened with a fixed brace on the back of my teeth, so I can have a fabulous smile on my wedding day. No smile will be complete however, without dazzling white teeth. 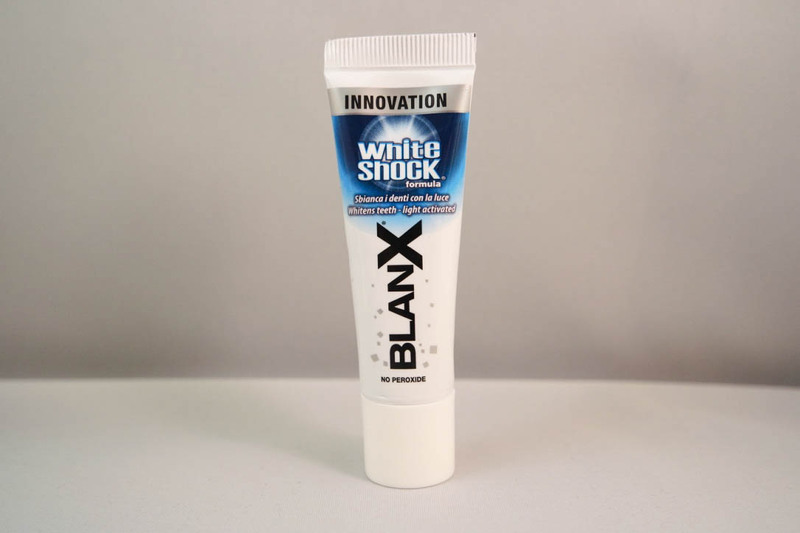 I'll be using BlanX toothpaste for the foreseeable future as their results have been amazing. Let's hope it can work wonders on mine! 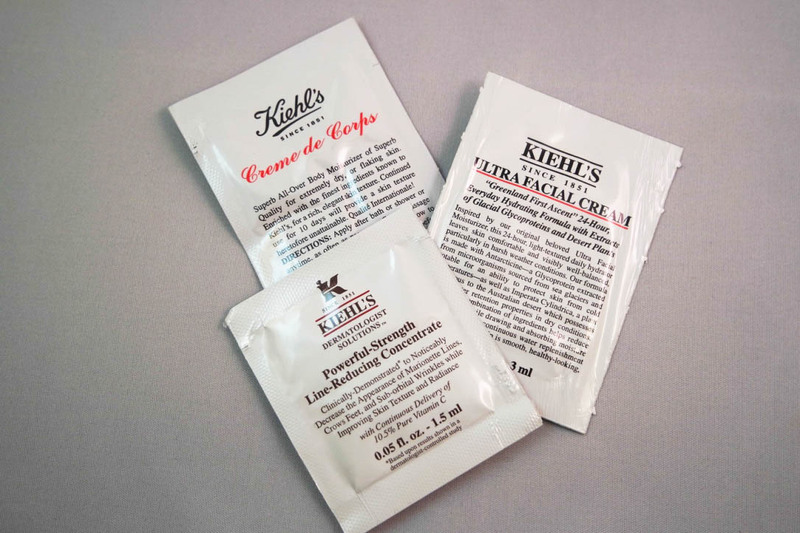 Giving you samples of their three most popular skincare products, Kiehl's have been my go-to brand for skincare for years since my mum first bought me one of their products. Bloggers go crazy for Yankee Candle. 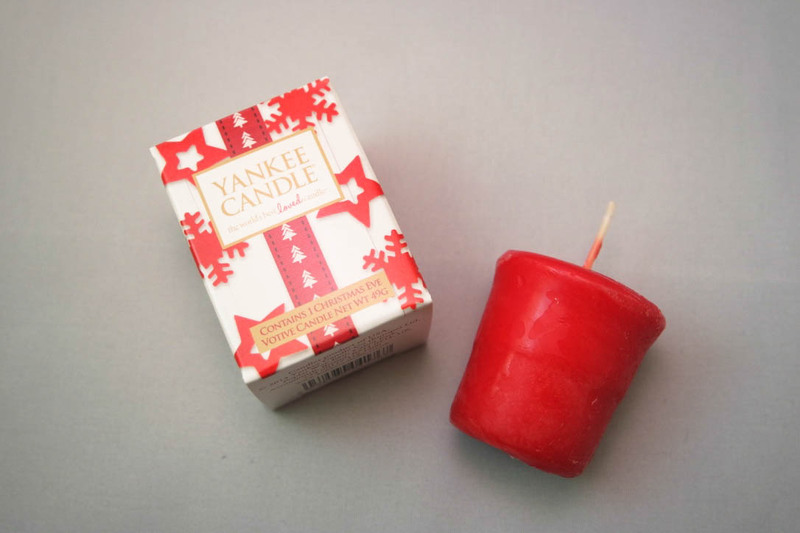 They've so kindly send votives of their Christmas Eve scent to make BloggersXmas even more Christmassy. Agroposta is a brand we came across a while ago at a new brand launch and immediately were taken by their five flavours; Raspberry, Elderflower, Lemon, Sage Flower and Lavender. Tasting so natural, they can turn any old glass of water into flavoursome juice with this home-made cordial. We're literally obsessed with anything miniature. 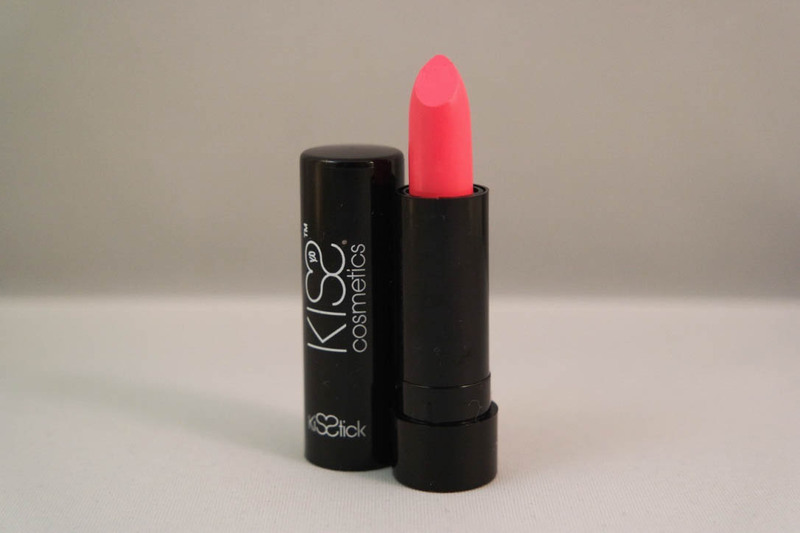 Kiss Cosmetics have supplied 10 amazing shades of KISSStick minis and we love them all. From deep purple and reds to colour pop pink and subtle nudes, these are certainly a handbag must-have. 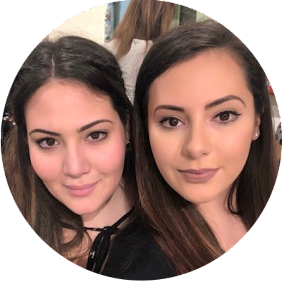 Barry M unfortunately had to pull out last minute due to staff shortages but were more than keen to have some full size products in the goody bags for everyone to try. Getting into the festive spirit with their Dazzle Dust and Glitterati ranges, each blogger walked away with one of each! 5 varying shades of nail polish and 9 shades of eye shadow, we cannot decide which shades are our favourite! Miglio Jewellery exhibited at the event and kindly provided everyone with their catalogue to take home. Their Alchemy collection is full of beautiful silver and rose gold pieces which we adore. Their geometric earrings and midi rings are to die for! You can check out their e-brochure here. Blogosphere Magazine proved a very popular stand at the event with everyone trying to get their paws on the latest issue featuring Samantha Maria (aka. Beauty Crush). 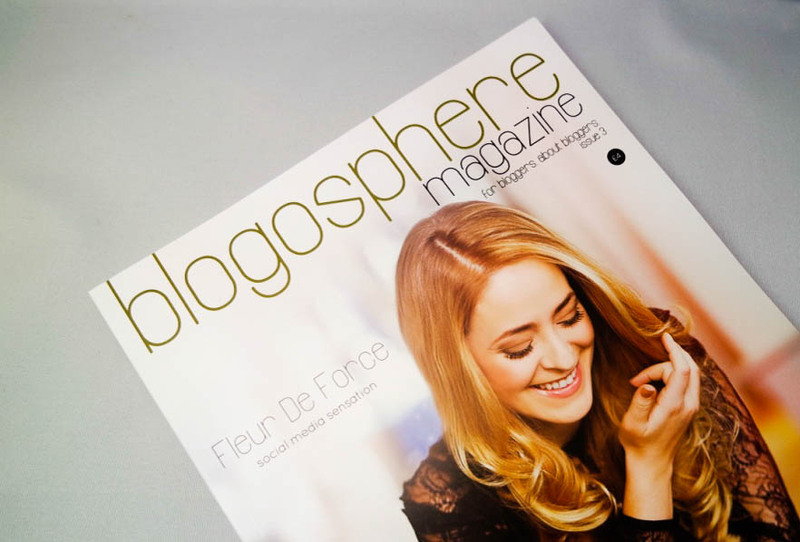 Little did they know that each blogger that attended also got to take home issue 3, featuring Fleur de Force! Packed full of amazing bloggers, this high quality magazine is perfect for an afternoon read when your phone battery dies! There were also some great discounts on offer within the goody bags which we will definitely be taking advantage of once our pay comes in! We're always on the lookout for new brushes. Crown Brush looks to be our next purchase. With plenty of brushes and brush sets to choose from, you'll be spoilt for choice with their offering of 10% discount! Unfortunately, the validity of this voucher has now run out but keep an eye on their website for deals! Magnitone offered a great discount to grab your very own Barefaced facial cleanser. Certainly an offer not to be missed if you want glowing skin this new year. We're so glad we found The Boutique at What Emma Did. The dresses are beautiful and so very affordable with prices from £7 - £25! She's given you a whopping 30% discount on her range - Amazing! We're putting our orders in now. Chilpa have offered a great discount off their range of handmade Mexican textiles. From scarves, cushions and totes, to makeup bags, bunting and jewellery, you're spoilt for choice from this amazing range. Our final discount on offer is from Bella Kinesis. A fitness-wear brand which offer high quality garments to get you looking great while you're fulfilling your new years resolution. 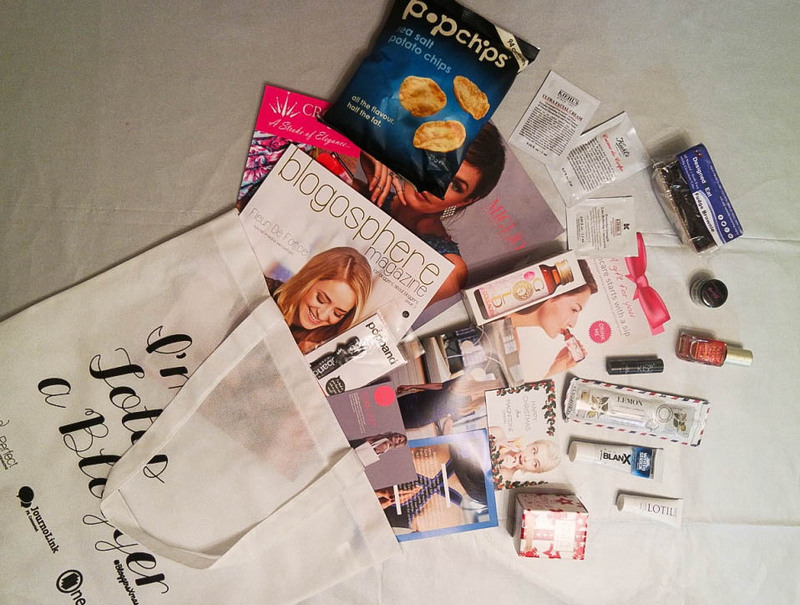 Looks like a fab goodie bag and very generous of you to give 4 away! Organising events is a lot of hard work, but they are a great opportunity for bloggers to get together and interact with new brands too. Working with the brands was our favourite bit! And obviously seeing everyone's responses, it certainly put my mind at rest after all the worrying! This looks like such a great goodie bag , I would love to try the gluten free cake and the magazine! I'd love to read that blogger magazine!